Our celebration of International Women’s Day is still going strong! This week, we are excited for you to learn more about Kelly Weinberger, the founder of WorldFinds. WorldFinds was one of our first vendor partners when Fair Trade Winds was born over ten years ago—we feel a special connection to the artisans and are in awe of Kelly’s passion for fair trade. We love how the designs have evolved over the years and appeal to so many! 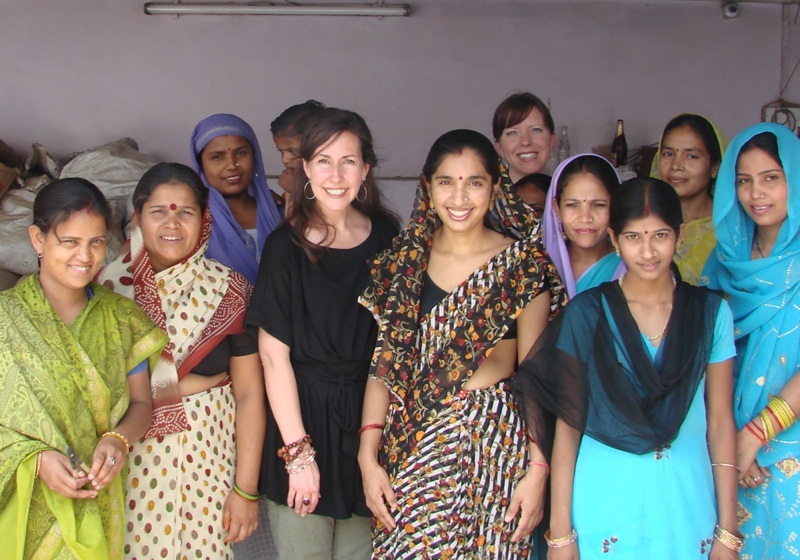 We talked to Kelly previously about her trips to India and the impact of WorldFinds on the lives of her artisan partners. Kelly and her team are still working hard to bring our customers beautiful jewelry while creating positive change in the world. 1. What inspired you to start WorldFinds and work with women artisans? I was in the middle of a 14-month round-the-world backpack trip and learned about fair trade in Nepal, and everything suddenly came together for me! I had been spending a lot of time in the developing world, and had just left India, which had left me mesmerized. The more I learned about women in marginalized communities and the lack of opportunities that existed for them, the more certain I was that the fair trade model of providing work instead of charity offered a viable solution to this. So the timing was perfect and I started WorldFinds while still traveling. Fun fact: Next week marks 20 years since I left on that initial trip! It’s incredibly crazy to think about. 2. How many artisans/artisan groups do you work? We partner with approximately 800 artisans in India and Indonesia that work on our designs. Nearly all of our artisans are women, and our team in the US is mostly women as well. It’s been such a privilege to see our artisans grow and change over time and see their children growing up and thriving as well. Working in fair trade we’re very focused on the practices and principles, but it’s the relationships formed with our artisans over the years that keeps me passionate about what I do. 3. What is your personal favorite product and why? I like either really bold things or really minimalist things—nothing in the middle! This is one of the reasons we design such broad collections. I really like our Kantha Half Moon Necklace, which can easily be layered and looks great with statement earrings like the Encircled Kantha Hoops. Both of these styles are handmade in India using repurposed cotton textiles, so they’re super tactile as well as colorful and completely one-of-a-kind. 4. When women work, the impact of the investment is greatly multiplied. What benefits or positive changes have you seen in the communities where the women work/live? This is so true! The women in our artisan groups are incredibly strong and have gone through so much. Some have such horrible histories that when I learn their stories I find it amazing that they are still alive, persevering, and somehow able to smile. But they do! I started working with most of our artisan groups in 2002 and have witnessed incredible change. The artisan communities have grown tenfold, and the artisan’s children have a much brighter looking future than their mothers had due to the opportunity of education. But for me it’s been most inspiring to see how much some of the individual women have changed. 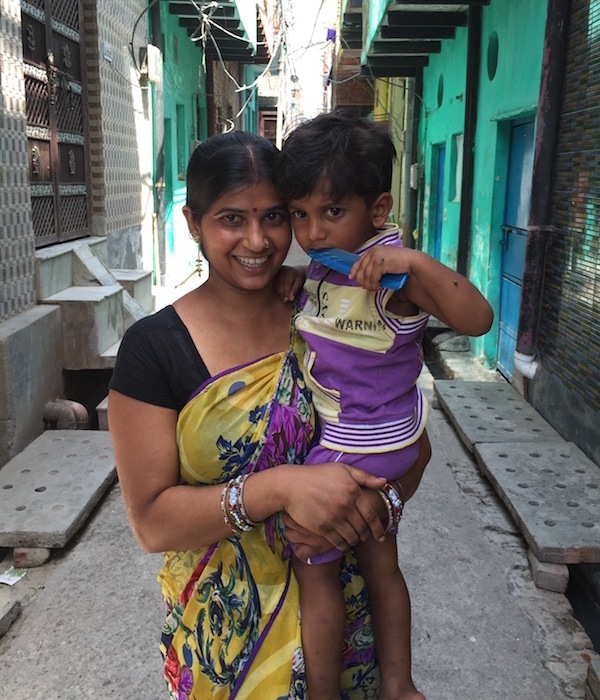 When I first met Kanchan [pictured above], for example, she was recently married and had just had a baby, and was eager to learn how to make jewelry to earn some badly needed income. Her husband and in-laws tried to prevent her from working, as it wasn’t traditionally allowed and they thought it would reflect badly on them. It took a lot of perseverance, but she was able to keep working. And once they saw how much money she was able to contribute to the family, her mother-in-law wanted to learn how to make jewelry as well! So much time in the groups is spent on education and showing how change can be a good thing. 5. We love your commitment to empowering other women! What advice would you give to girls who are interested in getting involved in causes they are passionate about? Believe in yourself, ask a lot of questions, and learn all you can about the people you hope to help through that cause. And don’t let anybody stop you or tell you that you can’t do it! You are always stronger and more resilient than you think. It will be hard, but you can figure it out. I have a 13-year old daughter, and she’s come with me to several women’s marches and it’s been fun to watch her start to discover her own passions. I’m really trying to instill in her a spirit of persistence and grit. 6. Which women have had the biggest impact on your life? My mom has an insane amount of energy, and always found time to do things for others while following her passions. There are so many amazing women that have inspired me over the years, from Gloria Steinem and Vivienne Westwood while growing up, to Malala, Michelle Obama, and the notorious RBG. Our artisans absolutely inspire me every day, and seeing women overcome seemingly insurmountable odds is a huge motivator for me. Any women ‘firsts’ always caused me to cheer and helped me to believe something was possible. It’s crazy to remember that American woman have only had the vote for 100 years and that we shouldn’t ever take any progress for granted.